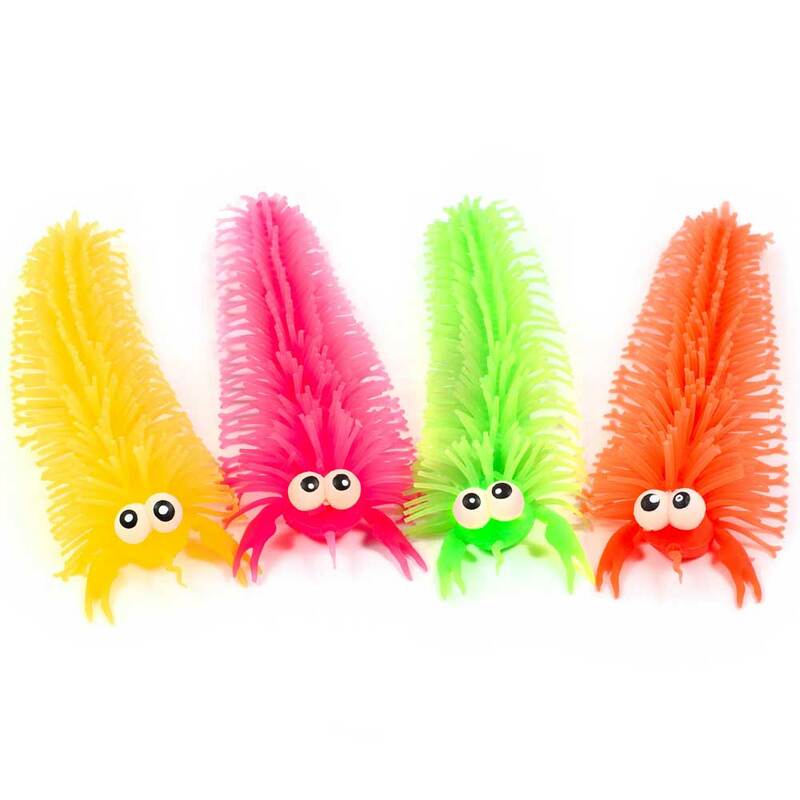 Super soft and dangly rubber crab with big beady eyes and lots of soft long spikes. 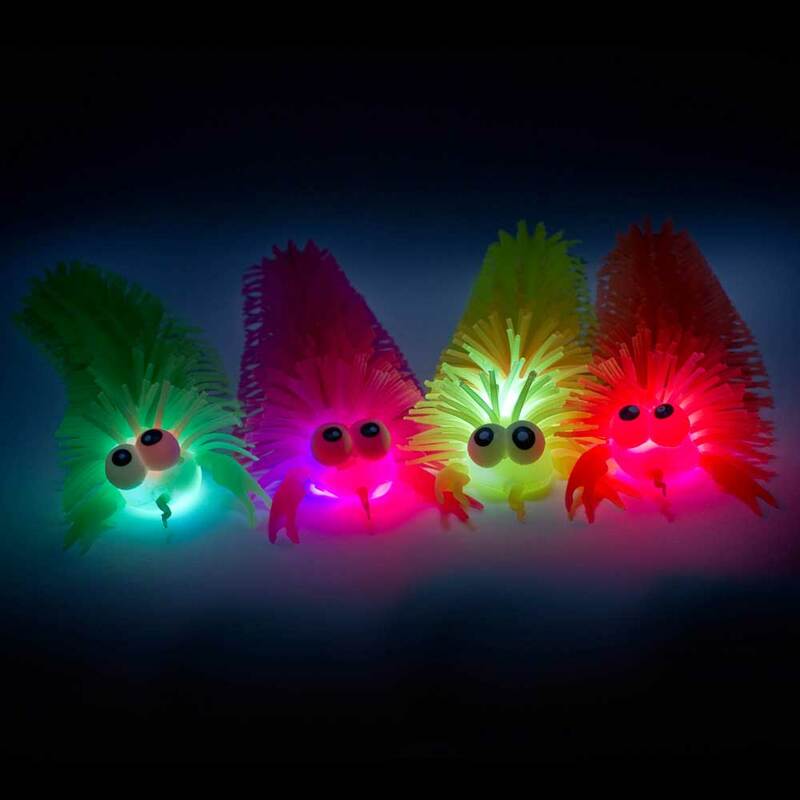 Enjoy this fun creature, which begins to flash once whacked! 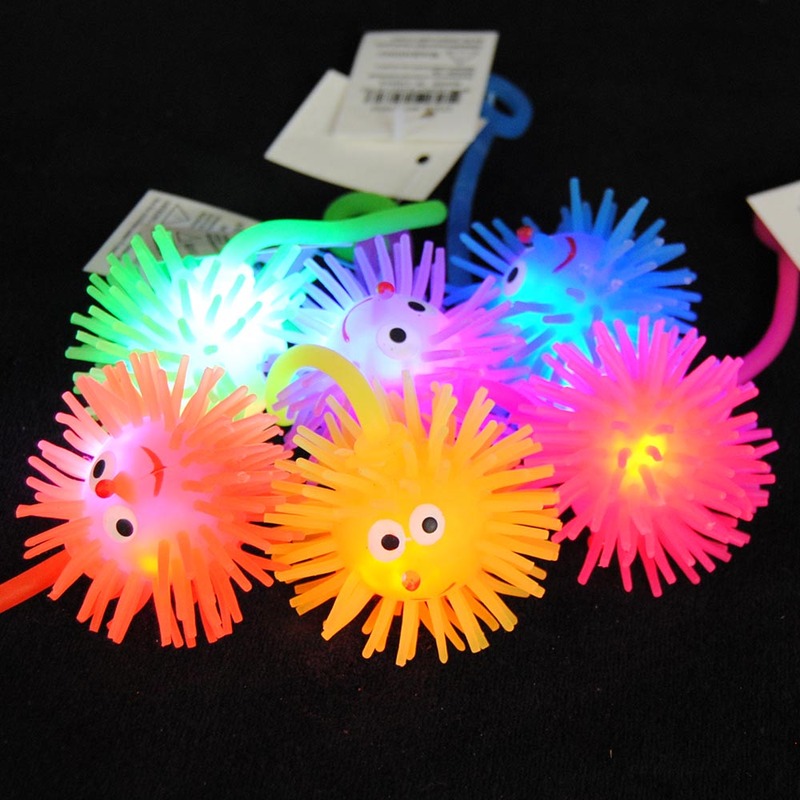 LED's light it up with multi-color blinking lights. 12 inches long, but will stretch four times that!. You'll love squishing and pulling on this thing as much as bouncing it all around. 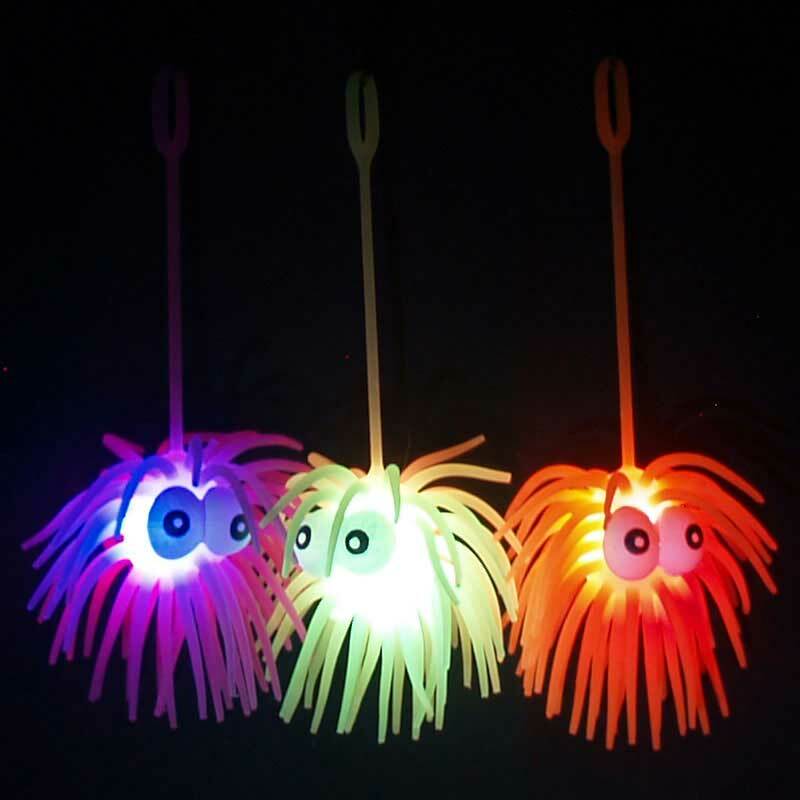 Purchase a dozen and get wholesale pricing, product in a display box, and units of each color!